Level 1/2 Test on April 2nd, 6:30pm. Don’t think of this as a standardized test. The skills are a general guideline to help you set goals and improve your fitness. And you don’t have to be perfect; you can miss two of the skills and still level up! Read up on the skills here. Try them out after the workout and see if you’re ready! 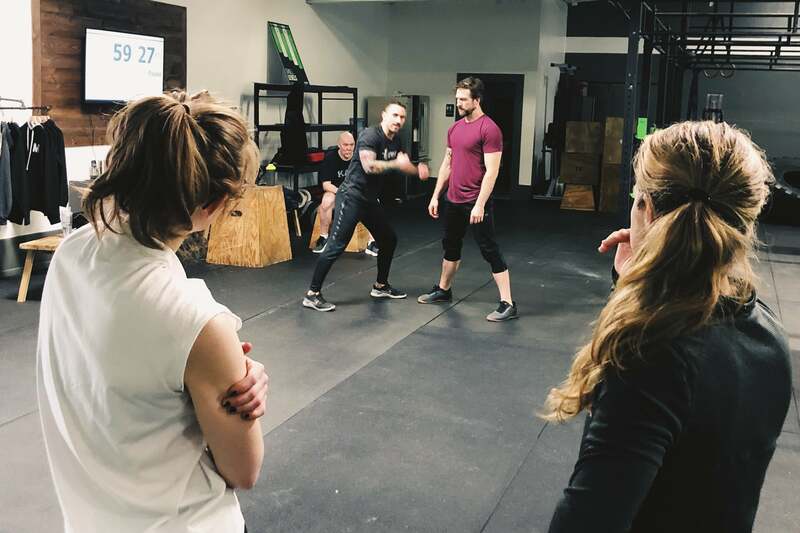 Krav Maga Workshop. Last class of the series is this Saturday (so get it before it’s gone!). Each week, we’ll cover a different scenario. Register here. Use code MVMNT15 for your discount. New class added to the schedule! You can now take your daily does of functional fitness at 5am on Mondays, Wednesdays, and Fridays. Who knew that celery was basically the Marilyn Monroe of vegetables? Well, according to this article.